Home World Israel Could A Spy Swap Be Key To Keeping Israel-Palestinian Peace Talks Alive? Could A Spy Swap Be Key To Keeping Israel-Palestinian Peace Talks Alive? Spy exchanges are a reminder, for those old enough, of the Cold War. Everyone had spies, and sometimes they would be caught. If not killed immediately, they might be held in jail, to be used as a pawn to be swapped, to gain some other advantage. In some cases, the spies were not the shadowy kind, they were just bit-players who traded, sold or handed over documents to foreign governments. In one document sharing case in the 1980s, Jonathan Pollard was handing over American documents to Israel. When he was caught, the judge threw the book at him, and he has been rotting in jail since then, 27 years and counting. The US has resisted handing him over to Israel all this time, but now, the option of trading this pawn has come up. It is possible there could be a three-way swap between the Americans, Israelis and Palestinians. 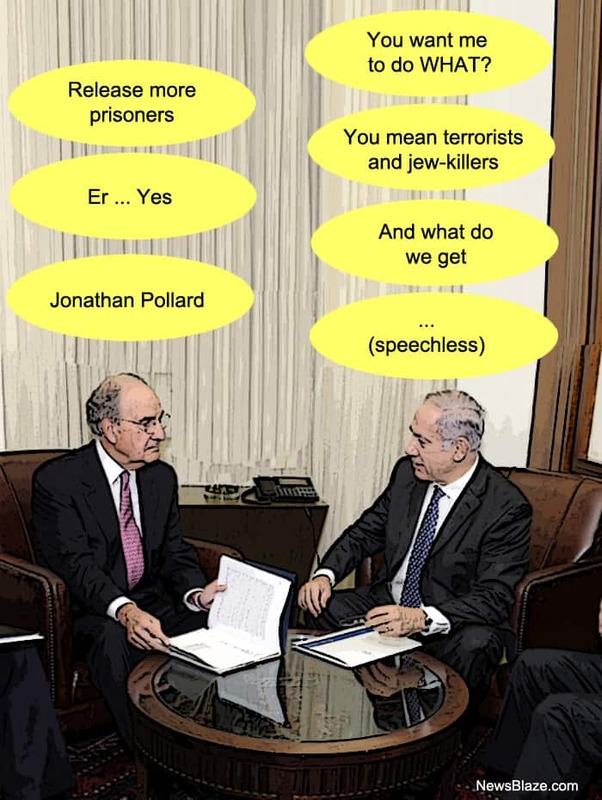 Pollard may be used as a way to keep Israel/Palestinian peace talks alive. No surprise to anyone, except perhaps John Kerry, the Israel/Palestinian peace talks have stalled. Kerry has put so much time and effort into resolving this unresolvable problem, that it is said he is clutching at straws to keep the peace process moving. Kerry wants Israel to hand over more Palestinian terrorists and murderers, so he is keen to offer Jonathan Pollard, a meaningless pawn. It is unknown whether Israel really cares enough about Pollard, an American, but it is known they don’t abandon their own. The rumour is that Pollard, the former U.S. Navy analyst, could be released by mid-April. A big question is why would Israel release another large group of murderers back into Palestinian society, for a single person, when those terrorists will be welcomed as returning heroes by Abbas, and may return to their old ways. Israel has already released a lot of terrorists and murderers. The Palestinians have welcomed them home as though they were returning Olympians. This has not pleased Israel, and that, along with the fact that Abbas appears to have no intention of negotiating anything, has made Netanyahu dig in his heels and refuse to turn over more killers. Israelis are not happy that their government is giving up these terrorists and getting nothing in return. If the Pollard deal, and whatever else is on the table works out, more prisoners would be released and peace talks would be extended to beyond the April 29 deadline, according to an unnamed source. With US Foreign Policy in a shambles, pundits say it is easy to believe that President Obama would approve releasing Pollard, to recover something positive for his record. Even if Pollard is allowed out of jail, and a swap takes place, the chance of a positive outcome for the Israeli/Palestinian talks is thought to be very low.